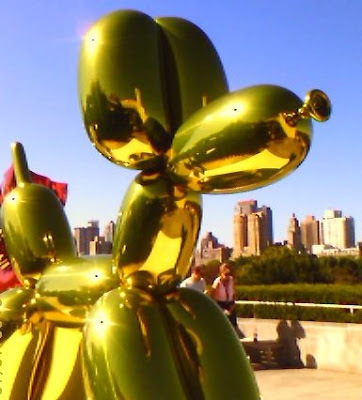 Perfect weather last Friday to view the Jeff Koons exhibit at the Metropolitan Museum of Art. 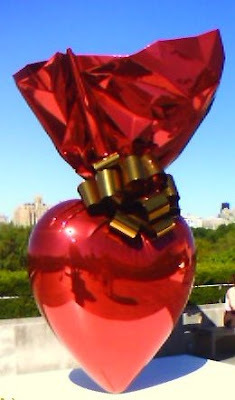 You may think Koons' work is simplistic but I have to admire the technical genius of the construction. It's flawless. And it made me smile on a day when the financial markets were plummeting. These remind me of the children's museum we use to volunteer for. They had this room full of creative sculptures. It definitely made me smile.